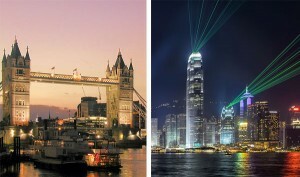 Investment Banking in Hong Kong vs. London: Got Tax Savings? So, should you work in Asia? Or is it better to work in a major financial center in a developed country? The debate rages among university students, MBA students, and anonymous people online, so there’s only one way to settle this question: ask someone who’s had experience doing both. Our reader today worked across the power & utilities and renewables groups in both London and Hong Kong, and knows all about the trade-offs of both regions – plus, how you get in and “fit in” on the job. London Recruiting: Got Spring Weeks? A: Sure. I’m from Asia originally, but completed most of my education in the UK. I went to a ton of on-campus events, company presentations, and career fairs, did a few spring weeks and was very active in student clubs and societies at my university. I eventually won an internship at a large bank, worked on the commodities desk within sales & trading, did a 2-week rotation in IB at the end, and then moved to the power & utilities industry team for my full-time role. I stayed there for a few years, and then decided to move back to Asia. Q: So you would say spring weeks are important for recruiting in the UK? We’ve had mixed comments on that one before, with some people arguing they’re greatly over-hyped. A: In my opinion, yes, they’re quite important. I was very active in finance-related societies at university, and I saw a big difference in younger students who completed spring weeks vs. those who did not. In Europe, a lot of people “travel” or do other activities during their summer breaks, which hurts their chances of securing an internship or full-time job. Even if you do an investment banking spring week and you don’t get an internship offer afterward, you still have an advantage because you can always speak about it in interviews to demonstrate your interest. It’s more difficult to get internships without spring week experience and it’s more difficult to get full-time jobs without internships, so the amount of time and effort required to apply is well worth it. Q: Right. So we’ll get into the details of your experience in London later, but why did you want to transfer to Hong Kong? Was it due to friends and family? Deal Flow – You tend to get more deal experience in Asia, or at least I did in the groups I was in. Client Exposure – You don’t get as much in London since it’s such a mature market (though this depends on your sector and team). Culture – It was easier to integrate myself with the team in Asia. Q: And how exactly did you make the move? A: A ton of networking. Your chances of moving to HK in pure investment banking roles without being a native Mandarin speaker are quite slim (exceptions apply if you’ve previously worked with companies in Southeast Asia). So that’s the first hurdle to clear. On the ground – If you don’t go to HK in-person, few people will take you seriously. And you really need to be there by the time you get to the interview stage. 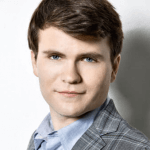 Really, really patient – The lateral hiring process here takes forever, and some people go through 15-20 rounds of interviews at bulge bracket banks. But if they really like you and they have an immediate hiring need, you might get an offer in a few weeks (or less). Questions tend to focus on your deal experience and industry/regional knowledge (expect to get tested on all regions within Asia); language tests and modeling tests are also common for experienced candidates. Q: It seems like it also depends on the strength of your bank’s platform in Asia, because if the team there only consists of 5 people, you’ll probably have to move to another bank. What are the top banks in each region? 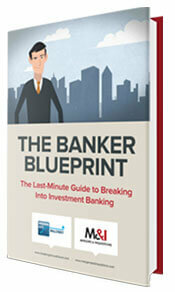 A: In Europe, the top banks for Power & Utilities are generally Citi, Barclays, Macquarie, and Rothschild. But in Hong Kong, the pecking order is different: Citi, MS, and GS tend to be the top firms, though the latter two differ greatly depending on the sub-team. Some banks also split up their coverage into energy vs. transportation, or put transportation within the industrials team, so it’s not exactly an apples-to-apples comparison. Q: And what deal types and clients are most common in each region? London: There have been quite a few privatizations (e.g., Royal Mail) as governments sell off assets to raise capital. There’s some level of M&A within power & utilities, but relatively little in transportation. There’s more activity overall on the Renewables side, with quite a few financial sponsor-driven deals. Hong Kong / Asia: Deals come in waves here; for example, there might be a wave of IPOs, but then the trend shifts and power companies will start selling assets or doing spin-offs. Regulatory approvals can take forever, which is one reason why some sectors “die” and then come back to life. I always found renewables to be the most interesting sector, so I gravitated to deals there. Q: What about asset-level vs. corporate-level deals? A: You see a lot of asset sales in this sector anywhere, but they’re definitely more common in Asia. That’s partially because the ownership and mindset of companies in Asia is different: many companies are family-owned and therefore don’t want to sell their entire firm and lose control. So you see fewer M&A deals involving entire companies. But if one of these family-owned businesses actually wants to do a large acquisition, they will make it happen regardless of the effort required. You see this a lot in regions such as Thailand and Malaysia. Q: And are there any significant differences on the modeling side? A: Since there are so many financing and refinancing deals, you focus on cash flows above all else, similar to Project Finance. In sectors such as utilities and power you work on a lot of minority stake acquisitions, so you might focus more on valuation instead of traditional M&A modeling. Other than that, it’s not much different and your previous interviews have covered the technical side well. Q: So we’ve been over the deal / industry / technical side – what about the hours and culture in each place? A: On average, I started at around 9:30 AM in London and left around 1-2 AM. So I worked standard “banking hours,” but weekend work was less common unless something truly urgent came up. In Hong Kong, it’s completely dependent on your team and sector. Some people are at the office nearly the entire day and night, while others go home at 9 PM and then work from home… and the hours definitely get better as you move up. People claim that Hong Kong has “worse hours” than NYC, but from what I’ve seen that isn’t universally true. Q: So “protected weekends” haven’t made their way over there yet? A: Some firms have introduced the concept, but it’s a bit of a farce. So the average hours per week haven’t necessarily changed by much. Q: Yeah, I don’t think anyone really took that concept seriously. Earlier, you mentioned that you didn’t exactly “fit in” in London. Can you explain how the culture is different there? A: A lot of my colleagues there all went to the same schools and universities together, and then did weekend activities such as golfing (or drinking, partying, etc.) together. They didn’t exactly “exclude” me, but they didn’t openly extend invitations, either. In Hong Kong, you see mostly Chinese people who were Western-educated, along with some who attended local HK universities, and a few with very international backgrounds (e.g., born in Europe, lived in the UK, and then went to university in the States). So it was definitely easier to fit in with the team here. Q: Yeah, interesting to note that one. What about differences in salaries and bonuses? I assume the main difference is the tax rate. A: Yes, exactly. In the UK the income tax rate is 20% up to a certain salary level (~32K GBP), and then 40% up to ~150K GBP, but it’s only around 15% in Hong Kong. The base salary was roughly the same, at least at larger banks. Some people argue that bonuses might be better due to higher deal flow in Asia, but I don’t know how much that actually benefits junior bankers. Most analysts in London earned 15-20K GBP bonuses in their first year; by the 2nd to 3rd year they could earn over 100K GBP pre-tax in total compensation. In Hong Kong, bonuses vary quite a bit by bank. I’ve seen cases where one firm pays a bonus equivalent to 1 month of base salary, others pay 4-5 months’ worth, and still others pay bonuses equivalent to ~100% of base salary. Housing stipends also depend on the bank. Sometimes they’re provided for interns not residing in HK or people from other countries, but they’ve become less common over time. As an analyst or associate in London, you are not likely to save much of your salary because housing is quite expensive and you will also spend quite a bit on food and drinks on weekends. You can potentially save more in Hong Kong, but that’s mostly because of the tax rate and not because the cost of living is lower (rent is actually higher). Q: So far, based on deal flow and compensation, it seems like Hong Kong is the winner if you’re interested in power & utilities. A: Yes – there are not as many exit opportunities. People in power & utilities groups in both regions go into infrastructure funds or corporates, but there are fewer buy-side funds in Asia. Blackstone and other large PE firms all have a presence, but there are fewer pension funds in Asia, which reduces the number of buy-side opportunities. Also, a lot of buy-side funds in Asia are much smaller and don’t have a sector focus, which hurts your chances since power & utilities (and renewables) is quite specialized. Most analysts here who leave for other roles are actually recruited by clients – the client saw their work, liked working with them, and then recruited them. The “quit rate” for analysts in Asia is also quite high; I’ve seen a number of friends leave after 2-3 years in banking, without having a new job lined up or even a long-term plan in place. Some analysts here don’t really have a long-term commitment to banking, and are just doing it to get a brand name on their resume then to move onto other roles. Q: And is that your plan as well? A: Hah, good question. It’s hard to tell, but at some point I might do an MBA or move into a corporate development role. Despite the “improvements” in culture and work-life balance, I don’t know if banking is necessarily a great long-term work environment. Q: Yeah, that seems to be in-line with other recent comments on this point. 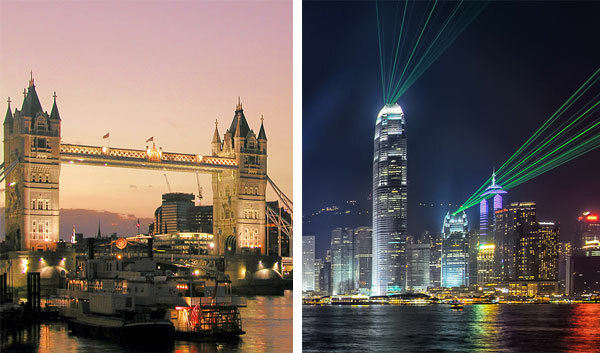 So, bottom-line: how should you decide whether to work in London or Hong Kong? A: Hong Kong is better if you’re a native Mandarin speaker and you’re looking for higher – though very sector-dependent – deal flow, as well as more after-tax savings. The main downside is that it’s harder to rise up to the top, so if you’re aiming to eventually reach Group Head or beyond, it’s better to start off in NYC or London and stay there. There are also fewer traditional buy-side exit opportunities in Asia, so if you’re in banking simply for the exit it’s probably better to work elsewhere. And if you don’t know the language it makes almost no sense to come here, at least in pure investment banking roles. Thanks for the great interview Brian. It’d be interesting to know more about different banks’ performance as well as buyside firms’ performance in Asia specifically, because they can be very different from their performance in U.S. or Europe I heard. This is a bit random, but what is the tax rate for a banking analyst in Cali (LA)? California is probably one of the worst places to work if your goal is to save money, though LA is slightly better than SF due to a lower cost of living at present (2015). I think it’s interesting how Mandarin seems to have become the default language in Hong Kong at least for banking. Almost everyone I work with that is from Hong Kong has either very little or no Mandarin ability at all. They just speak Cantonese and English. But then again, they probably left Hong Kong in the early 90’s at the latest. Is Mandarin getting common in general in Hong Kong? The very few people I’ve met that have recently come from there have better English than Mandarin. Yeah that’s a good question. I think it started changing from 2000 onward, and Mandarin has become a lot more important. Whenever I go to HK there are always hordes of people from mainland China now, so a lot of people there have to know at least some Mandarin if they interact with tourists or people on business trips. Not only in HK or Mainland China but in other regions of East Asia. I worked in South Korea office for a bit and a lot of their new recruits spoke Mandarin (or Cantonese) fluently, on top of Korean and English. A lot of cross-border deals come from Chinese firms these days so I guess it is reasonable. I heard from a friend interning at JPM in Seoul, South Korea, that he only used English at work. But I guess Mandarin is important later on when you face clients and need to network. The language of communication is still English in most firms. Just that over 50% of deals come from China and it is critical to have chinese capabilities when working on many of these deals, thus the importance of Mandarin. Yes, at least for pure IB roles. It’s more feasible to get trading roles or other positions that don’t require the language.